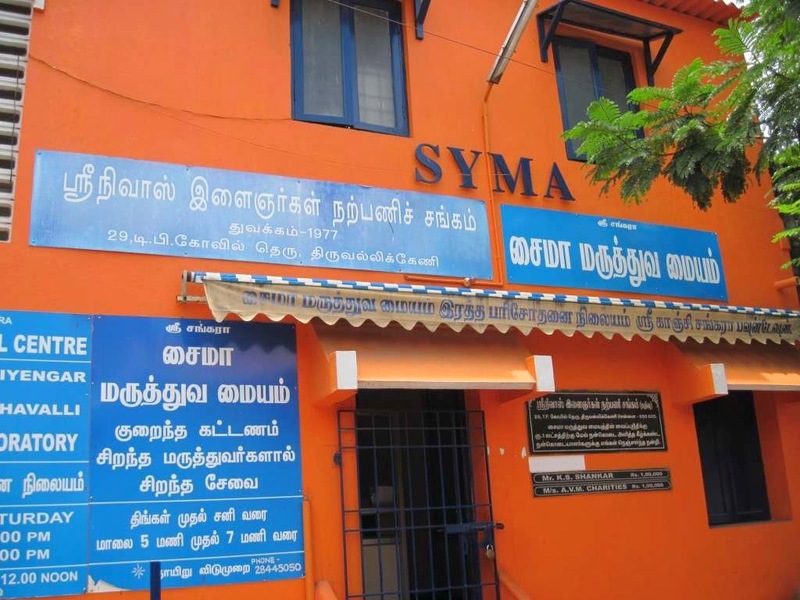 The name of ‘SYMA’ is synonymous with service~ Triplicane residents know us too well for the Social welfare activities that SYMA has been doing in the locality for decades..
Our Medical Centre is now in its 25th year of operation ~ daily around 50 persons benefit at our Medical Centre where we charge Rs.2/- per patient. Consultation is free – so too are medicines, now dispensed through regular medical shops, with whom we have tie-up. 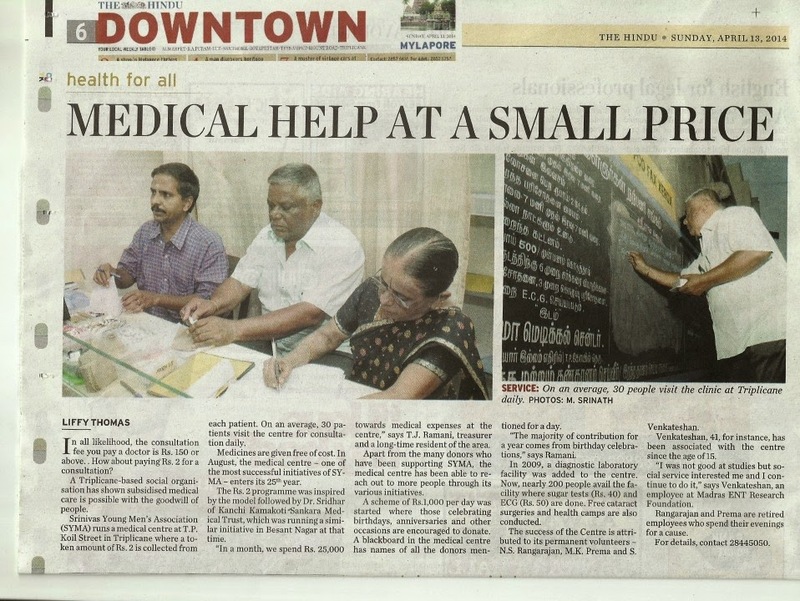 The Hindu Downtown has an article highlighting our medical centre and our volunteers at our medical centre. Thanks to Mr SR Ragunathan, Mr KV Srinivasan, Ms Liffy Thomas and photographer M Srinath. Here is a photo of our Medical Centre and scanned copy of the article.